The earliest blues musicians came from the Mississippi Delta region, where the uniquely American musical genre was born. 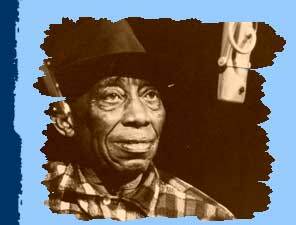 Pioneering blues artists like Charley Patton and Tommy Johnson in the 1920s and '30s influenced younger musicians such as Son House, Robert Johnson, and Bukka White, who in turn inspired blues greats like Muddy Waters, who eventually took the blues northward to Chicago in the 1940s and contributed to the emergence of both American and British rock and roll. Essential listening: "Frankie," "Louis Collins," "Avalon Blues," "Stack O' Lee Blues," "Big Leg Blues"
Essential listening: "Devil Got My Woman," "I'm So Glad," "Sickbed Blues," "Hard Time Killing Floor Blues"
Essential listening: "Walkin' Blues," "Love in Vain Blues," "Come on in My Kitchen," "Terraplane Blues," "Crossroad Blues"
Essential Listening: "Shake 'Em on Down," "Panama Limited," "Aberdeen Mississippi Blues," "Fixin' to Die Blues," "Parchman Farm Blues"